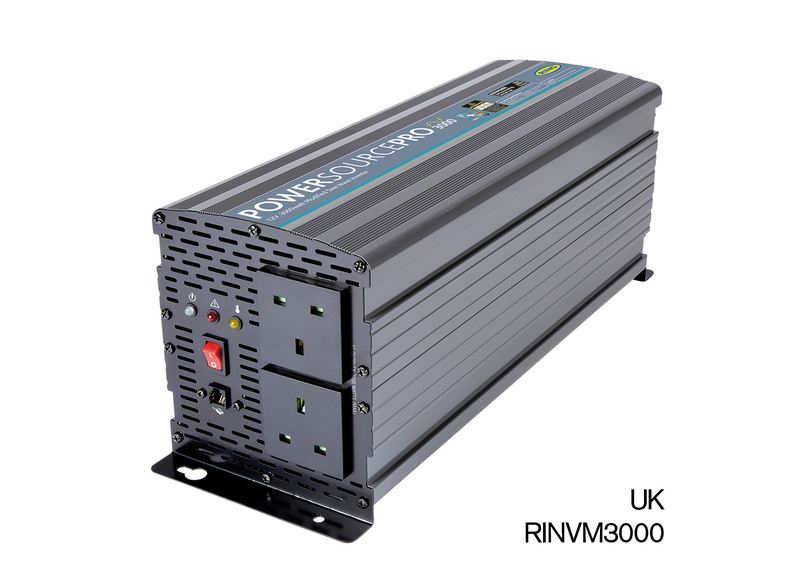 Professional 3000W modified sine wave inverter, suitable for 12V vehicles. 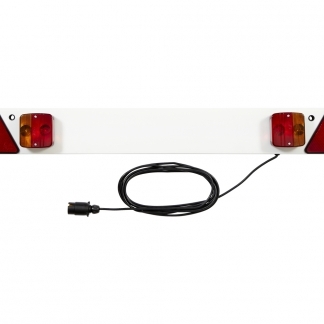 Converts 12V power into useful 230V power – ideal when working remotely where no mains power is available, and particularly for vehicle conversions. Well suited to demanding applications, with rugged extruded metal casing, heavy duty input cables and clamps for direct connection to batteries and able to provide power for up to 12 hours. Modified sine wave is suitable for powering the majority of equipment, and the PowerSourcePro 3000W Inverter is able to power devices up to 3000W, such as an electric chainsaw, a fan heater, a large angle grinder, an industrial water pump, a circular saw, vacuum cleaner or hot air gun. Features 2x three pin plug sockets, and low power alarm to alert you when the battery powering the inverter is running low – preventing the inverter from draining the vehicle battery – and automatic shut down. 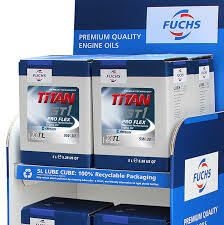 Fully protected against overload, over temperature and low/high voltages. The LED display shows operating mode and fault conditions. Includes remote control port, to add the RINVWRC remote control panel, which provides more convenient control and display of the inverter status for permanent installation. 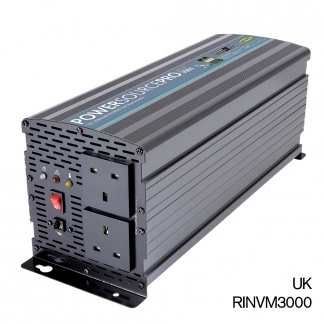 All Ring inverters are tested and certified to the relevant EMC and LVD Directives.